Electric Car – A complete overhaul of the car to be more efficient and reliable. Close to ready for its first test drive with this new work. First Robotics – Has a GREAT group of mentors, a dedicated teacher mentor (Thank you, Mr. Brown) and a strong start toward this season which starts on Jan 9! 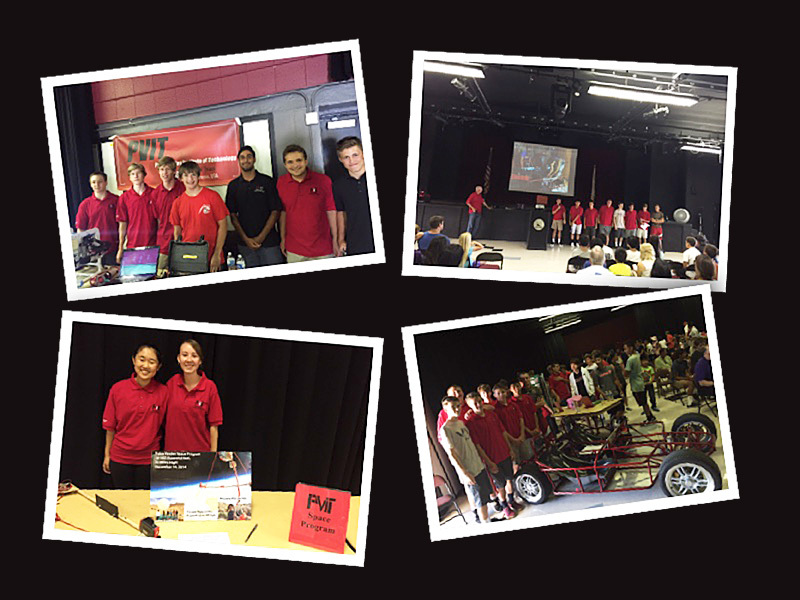 PVIT 101 – Highly successful workshops and training for first year students – lots of Sumobots running around! Robomagellan – April 2015, placed 2nd in Robogames (for the second or third time). Working on lots of programming for this year’s competition. 2016 competition specs were just released. Building a robot to explore Jupiter’s moon Europa! Solar Cup – Secured a sponsorship for the 2016 competition. Great teamwork to build the boat and ready to wire it up. UAV – Two strong teams with 3-4 aerial vehicles running or in the works. Will have an internal competition in the Spring that may expand to a South Bay competition! Space Team – Successfully launched AND RECOVERED a second high altitude balloon! Has lots of great data to analyze. VEX – New ALL-GIRLS VEX team! Went to semi-finals in first competition. Video Game Group – Have game designs and will compete in a programming competition in the Spring. BattleBots – New group formed by experienced Seniors. Won’t get on TV this year, but maybe paving the way for a TV appearance in the future. RC Cars – New group just forming (when their Electric Trike competition was cancelled Emoji ) Lots of fun racing expected.